Dennis has had a passion for collecting all things beautiful and unique his entire life and would like to share some of these items with others having a similar interest through his culturalpatina gallery. 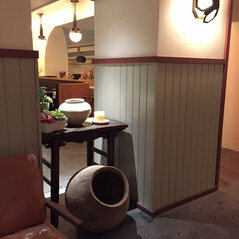 The gallery has representative items from the American Southwest, Asia, Middle East, Central and South America, and Nagaland in North Eastern India. 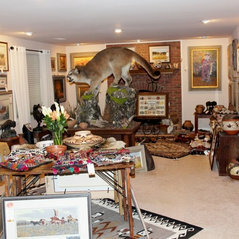 Dennis strives to offer the best items that he has collected or can find for sale to both the casual and/or discriminating collector of unique cultural items from each of these areas of the world. He also tries to focus on vintage, prehistoric, and historic items if he can find them. His primary interest is in pottery, textiles/weavings, western art, bronze sculptures, and extraordinary pieces of adornment. The gallery currently has the work of over 40 artists in these areas of interest. 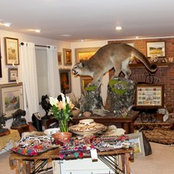 Culturalpatina has the largest collection of Ron Stewart art in the world, and represents Ron on the East Coast. Here you will find some of his earliest paintings to some of his most recent ones that have not been shown in public. 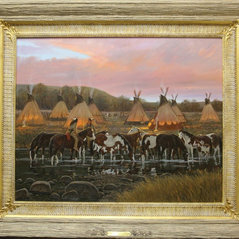 For those of you who like Ron Stewart and his western art, you might be interested in viewing a recently completed video biography of Ron's life at https://vimeo.com/135487381. As noted above, you can check out the largest collection of his art in the US, here at culturalpatina. 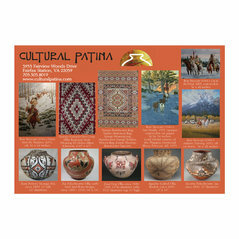 Culturalpatina also has the second largest collection of authentic Naga Indian Art in the US. It is all authentic, meaning that it was made by the Naga and used in their cultural ceremonies. The majority of the items shown were collected prior to 1982, when the Naga converted to Christianity and are museum quality.